Carmat is developing a biocompatible, artificial heart to satisfy the lack of donor hearts available for terminal biventricular heart failure patients. It completed a feasibility study in early 2016, and received authorisation to resume a European pivotal study in May 2017. Carmat raised €52.9m through the sale of 2.645m shares at €20.0 per share. We estimate that this should increase the firm’s cash runway into Q219, or potentially through the completion of the ongoing EU pivotal study of the Carmat heart. Our rNPV valuation is €643m, up from €627m previously. Due to increased share count, our per-share equity valuation has decreased to €77.34 (from €106.98, previously). Carmat announced on 12 December that it had raised €52.9m (with full exercise of all over-allotments) through the sale of 2.645m shares at €20.0 per share. This reflects a c 24% discount to the 4 December closing share price of €26.36. We estimate that Carmat will have €54.5m year-end 2017 net cash, which we believe should extend its operating runway into Q219, and potentially past the completion of the ongoing EU pivotal study of the Carmat heart. Carmat has indicated in public documents that it will allocate about 52% of the financing’s proceeds towards the continuation of the EU pivotal study, 30% towards the development of new production capacity, 11% towards a future US study and 7% towards future commercial launch activities. Carmat has expanded the 20- to 25-patient EU pivotal Carmat heart study to include sites outside France to hasten recruitment. In October 2017, it received approvals to include sites in the Czech Republic and Kazakhstan and recently completed an implantation at each of these two sites. The firm plans to announce additional sites in the coming months, which could help it meet its guidance to finish the study by year-end 2018 (although we continue to expect completion in mid-2019). We value Carmat using a risk-adjusted NPV approach, employing a 12.5% cost of capital. After rolling forward our forecasts, increasing short-term costs and revising FX estimates, we now obtain an rNPV valuation of €643m, up from €627m previously. After including our year-end 2017 estimated net cash of €54.5m, we derive an equity value of €697.3m, leading to a per-share equity valuation of €77.34. 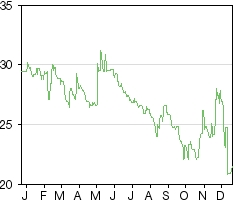 This is below our prior share equity valuation of €106.98, due to the increase in shares outstanding. This valuation does not include any additional equity offerings; although future financings may be required to prepare for commercial product launch and ramp up manufacturing. Our model assumes that the firm will raise €50m in 2019 and 2020 and, as per our usual policy, we assign these financings (totalling €100m) to long-term debt. On 5 December 2017, Carmat announced an equity offering of at least €46m (including all over-allotments) and on 12 December it announced the final allocations, where it will receive €52.9m (including the full exercise of all possible over-allotments) through the sale of 2.645m shares at €20.0 per share. The effective price reflects a c 24% discount to the 4 December 2017 Carmat closing share price of €26.36 per share. The closing and settlement of the transaction occurred on 14 December. The financing was conducted in stages; Carmat’s existing shareholders, as of record on 5 December 2017, were granted a priority subscription period expiring on 11 December 2017, whereby they could subscribe to the offering with an allocation based on their existing proportionate ownership interest. Altogether, the largest participants in the offering overall were Babalia (the family office of Mr Pierre Bastid), which purchased 1.0m shares (increasing its stake in Carmat from 4.6% to 14.3%), and Santé Holdings (the family office of Dr Antonino Ligresti), which purchased 0.5m shares (increasing its stake in Carmat from 3.0% to 7.6%). However, it is noteworthy that Carmat’s largest shareholder, Matra Défense (Airbus Group), which owned 20.9% of Carmat capital before the offering, did not participate in the financing, and its percentage ownership of Carmat has decreased to 14.8%. New investors also participated in the offering, the largest of which is Groupe Therabel, which purchased 0.125m shares (a 1.4% stake). Carmat had €19.9m gross cash at 30 June 2017, and given its €3.89m in long-term debt at the time, we calculate mid-2017 net cash to have been €16.0m. Given its H117 cash burn rate (operating cash flow excluding net interest costs minus net capex) of €13.8m and our expectations that the forward burn rate would be comparable, we had anticipated that the company would need to raise additional funds in early 2018. By raising €52.9m, we estimate that Carmat now has sufficient resources to continue its operations into Q219, thus potentially into the completion of the ongoing EU pivotal study of the Carmat heart. 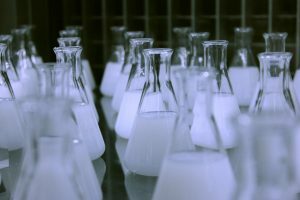 Carmat indicated in public documents that it will allocate about 52% of the financing’s proceeds towards the continuation of the EU pivotal study, about 30% towards the development of new production capacity, 11% towards a future US clinical study and 7% towards future commercial launch activities. 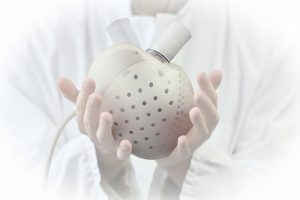 Having received clearance from the French health regulatory authority, Agence Nationale de Sécurité du Médicament et des Produits de Santé (ANSM), to resume its pivotal trial on the Carmat bioprosthetic heart (Carmat heart) in May 2017, Carmat has been advancing the study and expanding it to include sites outside France to hasten recruitment. This European pivotal study intends to recruit 20-25 patients with end-stage biventricular heart failure. Carmat obtained approvals in October 2017 from ANSM and other authorities to expand the ongoing Carmat heart pivotal study protocol to include implantations from facilities in both the Czech Republic (Prague’s Institute for Clinical and Experimental Medicine, or IKEM) and in Kazakhstan (Astana’s National Research Center for Cardiac Surgery). The firm has also begun administrative procedures in four other countries to expand the network of participating facilities in the Carmat study in future months. Carmat believes that the recently added sites have substantial patient enrolment potential, and adding additional sites should help it meet its guidance for completing the pivotal study by the end of 2018. 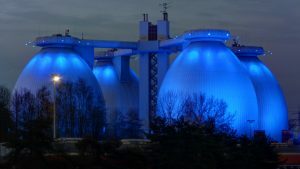 Part of the recently received funding could accelerate the company’s efforts to increase the number of sites participating in the pivotal study. On 23 October 2017, Carmat announced that its first international (outside France) implant of the Carmat heart was made in Kazakhstan, in accordance with the recently expanded protocol of the pivotal study. On 27 November, Carmat announced the first implantation at the IKEM site in the Czech Republic. The firm did not disclose the specific health status or age of the implanted patients and reaffirmed that, subject to regulatory obligations or special circumstances, it does not intend to provide individual updates on patients’ implantations or their health status, but will continue communicating on the general progress of the CE Marking process, or when major milestones in the pivotal study are attained (such as the opening of new centres or the overall progression of patient recruitment). On the resumption of the pivotal study, and in part due to ANSM requirements, the company has also strengthened its protocol for improving post-operative monitoring of patients. As stated in our 31 July 2017 Outlook report, the first patient in the pivotal study was implanted in August 2016 and his death in October 2016 prompted Carmat to suspend recruitment until May 2017 (at which point the firm had satisfied the agency that this death was not related to any prosthesis malfunction). Hence, to date, we estimate that three implants within the scope of the pivotal study have taken place, with two since resumption of the study. While management is still guiding for study completion by year-end 2018, we continue to assume completion in mid-2019. Carmat indicated in May 2017 that it was building a new production facility with more automated processes, intended to meet commercial-level scale and manufacturing requirements. As stated above, about 30% of the €52.9m offering has been allocated to costs associated with increasing its production capacity. Carmat expects the new production site to be ready for operation in early 2018, and it will be used for the production of the remaining prostheses to be used in the pivotal study. In November 2017, Carmat entered a partnership agreement with AddUp, a joint venture (JV) specialised in 3D printing set up by the Michelin and Fives Group. Through the collaboration, Carmat intends to increase the flexibility and/or customisation of the Carmat heart’s design, that is to provide patients with an iteration of the Carmat heart that uses 3D printing design to improve anatomical compatibility and surgical comfort, and better secure product assembly (through a reduction in the number of components). Carmat reported H117 financial results on 26 September 2017, with EBITDA losses and net losses of €13.4m and €14.1m, respectively. These compare with our H117 forecasts of €10.0m and €10.05m, respectively. Operating cash flow was -€13.7m, versus our forecast of €9.79m. The main variance between actual results and our forecasts is that R&D costs (€10.7m, up 29% y-o-y) exceeded our €7.0m projection. The company explains this yearly increase as largely due to the analyses and studies needed to secure authorisation by ANSM to resume the EU pivotal study, as well as activities related through its engagement with DEKRA (first announced in mid-2016) for fulfilling the CE Mark application requirements. Once the pivotal study is completed, if results are favourable, DEKRA will compile the relevant technical information and prepare the CE Mark submission for European approval. The firm raised €3.4m (net) in equity in H117 by selling 127,500 shares to Kepler Cheuvreux at €27.11/share. Patients with Class IV (end-stage) biventricular heart failure (estimated EU market size of around 21,500). Patients suffering acute myocardial infarctions whose severity or circumstances lead to an expected survival time of under 30 days (estimated EU market size of about 60,300). In both groups, the Carmat heart would only be implantable in patients under the age of 70 and, for anatomical/size compatibility, in about 86% of otherwise eligible men and 14% of such women. Altogether, we continue to estimate that the EU target treatment population is around 82,000 and forecast potential EU launch and commercialisation in H120. We continue to assume an initial average per-device market price of €160,000, rising 2% per year. We estimate that peak market share of 15% of this target market will be realised by 2024, with EU sales of €2.2bn in that year. For the US market, our base case continues to assume that product introduction will be attempted using the Humanitarian Use Device (HUD) programme, instead of a Premarket Approval (PMA) process. The HUD approach is less onerous and would shorten the amount of clinical data required for commercialisation, but could limit product usage to 8,000 patients per year. We maintain our US HUD commercialisation launch timeline of 2021, with a US market price of $200,000 per device, and peak US sales of $731m (€620m) by 2025 under this scenario. Given the completion of the financing, we estimate that Carmat will have €54.5m in net cash at year-end 2017. We assume the H217 cash burn rate (operating cash burn excluding net interest costs minus net capex) will be €14.5m, or generally comparable to the H117 burn rate. We continue to expect that Carmat’s burn rate in 2018 will be significantly higher than in 2017, due to our expectations of an increased recruitment rate for the ongoing EU pivotal trial and reflecting capex investments incurred to expand production capacity. Given the firm’s reported H117 results and its activities to expand clinical trial recruitment sites, we have increased our 2018 G&A and R&D cost estimates to €7.5m and €20.0m, respectively, up from our prior estimates of €6.7m and €18.0m, respectively. Our 2019 G&A expense estimate has increased to €10.2m (from €9.3m) and our €10.0m 2019 R&D expense forecast is unchanged. We continue to anticipate that activities towards the establishment of a new manufacturing facility and preparation for commercial launch will lead to €20m in capex costs in 2018 and €25m in 2019. Altogether, we forecast cash burn rates of €47.5m in 2018 and €45.2m in 2019, up from our previous estimates of €44.7m and €44.3m, respectively. In the first anticipated year of commercial sales (2020 in the EU), we expect initial working capital costs associated with the EU launch (and a negative profit margin on initial unit sales) and sales and marketing costs to lead to a burn rate of €55.0m. We estimate that Carmat’s funds on hand will support its operating runway into Q219. Hence, even following the financing, we assume that Carmat will need an additional €100m to complete the regulatory, manufacturing and commercial activities needed for the Carmat device to reach sustainable profitability. Our model assumes, as per our usual policy, that Carmat’s financing needs will be met through debt. We assume Carmat will raise €50m each year in 2019 and in 2020. While our model accounts for these financings as long-term debt, the firm may need to issue equity instead. We do not expect Carmat to start generating sustainable, positive, recurring operating cash flows until 2021, once its sales and manufacturing efficiencies start to exceed all projected overhead costs. We continue to value Carmat using a risk-adjusted NPV approach, employing a 12.5% cost of capital. For our US market estimates, we have revised our FX assumption to €/$1.18 (from €/$1.14 previously). We continue to assume a 25% probability risk assessment for the EU market. As we believe the company places a higher priority on obtaining CE Mark clearance for the EU market than on developing the Carmat heart for the US market, we continue to apply a lower (20%) probability for commercialisation in the US. Given the above adjustments and after rolling forward our forecasts, we now obtain an rNPV valuation of €643m, up from €627m previously. After including our year-end 2017 estimated net cash position of €54.5m, we derive an equity value of €697.3m, which leads to a per-share equity valuation of €77.34. The per-share equity valuation is below our prior assessment of €106.98, due to a significant increase in shares outstanding associated with the equity offering (we now estimate 9.02m shares outstanding). This valuation does not include any additional equity offerings; although future financing may be required to prepare for commercial product launch and ramp up manufacturing. Copyright 2017 Edison Investment Research Limited. All rights reserved. This report has been commissioned by Carmat and prepared and issued by Edison for publication globally. All information used in the publication of this report has been compiled from publicly available sources that are believed to be reliable, however we do not guarantee the accuracy or completeness of this report. Opinions contained in this report represent those of the research department of Edison at the time of publication. The securities described in the Investment Research may not be eligible for sale in all jurisdictions or to certain categories of investors. This research is issued in Australia by Edison Investment Research Pty Ltd (Corporate Authorised Representative (1252501) of Myonlineadvisers Pty Ltd (AFSL: 427484)) and any access to it, is intended only for "wholesale clients" within the meaning of the Corporations Act 2001 of Australia. The Investment Research is distributed in the United States by Edison US to major US institutional investors only. Edison US is registered as an investment adviser with the Securities and Exchange Commission. Edison US relies upon the "publishers' exclusion" from the definition of investment adviser under Section 202(a)(11) of the Investment Advisers Act of 1940 and corresponding state securities laws. As such, Edison does not offer or provide personalised advice. We publish information about companies in which we believe our readers may be interested and this information reflects our sincere opinions. The information that we provide or that is derived from our website is not intended to be, and should not be construed in any manner whatsoever as, personalised advice. Also, our website and the information provided by us should not be construed by any subscriber or prospective subscriber as Edison’s solicitation to effect, or attempt to effect, any transaction in a security. The research in this document is intended for New Zealand resident professional financial advisers or brokers (for use in their roles as financial advisers or brokers) and habitual investors who are “wholesale clients” for the purpose of the Financial Advisers Act 2008 (FAA) (as described in sections 5(c) (1)(a), (b) and (c) of the FAA). This is not a solicitation or inducement to buy, sell, subscribe, or underwrite any securities mentioned or in the topic of this document. This document is provided for information purposes only and should not be construed as an offer or solicitation for investment in any securities mentioned or in the topic of this document. A marketing communication under FCA Rules, this document has not been prepared in accordance with the legal requirements designed to promote the independence of investment research and is not subject to any prohibition on dealing ahead of the dissemination of investment research. Edison has a restrictive policy relating to personal dealing. Edison Group does not conduct any investment business and, accordingly, does not itself hold any positions in the securities mentioned in this report. However, the respective directors, officers, employees and contractors of Edison may have a position in any or related securities mentioned in this report. Edison or its affiliates may perform services or solicit business from any of the companies mentioned in this report. The value of securities mentioned in this report can fall as well as rise and are subject to large and sudden swings. 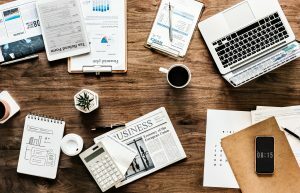 In addition it may be difficult or not possible to buy, sell or obtain accurate information about the value of securities mentioned in this report. Past performance is not necessarily a guide to future performance. Forward-looking information or statements in this report contain information that is based on assumptions, forecasts of future results, estimates of amounts not yet determinable, and therefore involve known and unknown risks, uncertainties and other factors which may cause the actual results, performance or achievements of their subject matter to be materially different from current expectations. For the purpose of the FAA, the content of this report is of a general nature, is intended as a source of general information only and is not intended to constitute a recommendation or opinion in relation to acquiring or disposing (including refraining from acquiring or disposing) of securities. The distribution of this document is not a “personalised service” and, to the extent that it contains any financial advice, is intended only as a “class service” provided by Edison within the meaning of the FAA (ie without taking into account the particular financial situation or goals of any person). As such, it should not be relied upon in making an investment decision. To the maximum extent permitted by law, Edison, its affiliates and contractors, and their respective directors, officers and employees will not be liable for any loss or damage arising as a result of reliance being placed on any of the information contained in this report and do not guarantee the returns on investments in the products discussed in this publication. FTSE International Limited (“FTSE”) © FTSE 2017. “FTSE®” is a trade mark of the London Stock Exchange Group companies and is used by FTSE International Limited under license. All rights in the FTSE indices and/or FTSE ratings vest in FTSE and/or its licensors. Neither FTSE nor its licensors accept any liability for any errors or omissions in the FTSE indices and/or FTSE ratings or underlying data. No further distribution of FTSE Data is permitted without FTSE’s express written consent.